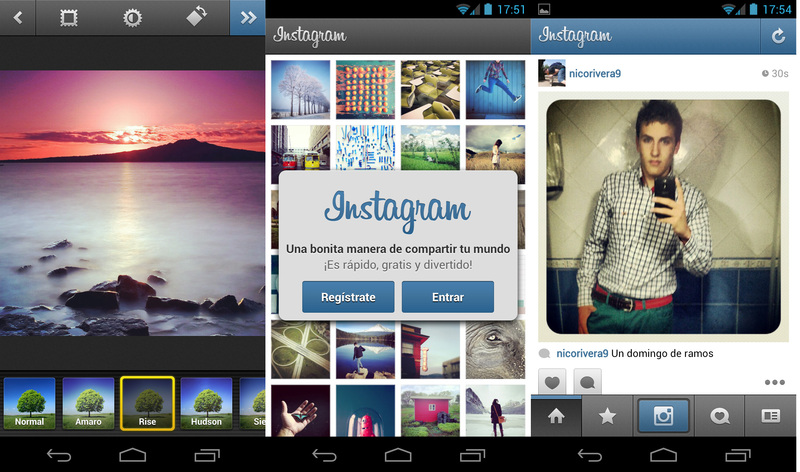 Instagram is available in 25 languages and it was designed by Kevin Systrom and Mike krieger released in the year 2010. Within 2012, this instagram became more popular and it reached more than 100 millions of users and over 300 millions of users in 2014 using actively. This is applicable for all android mobiles, iPhones, iPad, iPod touch, nokia devices and the Blackberry 10. Users can get this application from Google play, Apple app store and the Windows phone store. Instagram is the easiest, funniest, beautiful and the very fastest way to capture and share your great moments to the friends world wide. Users can take photos and videos everyday and share it to your friends and families on any social networking sites like as Facebook, Twitter, Flick, tumblr and more. Photos attaches quickly and even videos, the maximum time for Instagram videos is 15 seconds. Instagram constructs photo to the square shapes which is similar to Kodak Instamatic and the Polaroid images in contrast to the 4:3 ratio feature typically used by mobile device cameras. Users can also able to apply digital filters to their images. Editing photos and videos for without cost and tradition designed filters. They can make a better photos using ten newly designed tools to change brightness, contrast, saturation, shadows, highlights and perspectives. Users can also find and follow people based on the photos and accounts shared by them. They can share photos and videos at the fraction of second to all social media networking sites. Can also able to send private photos and video messages straightly to friends. View the world from someone’s eyes by following, not only from the well known people but also from the motivated instagrammers, athletes, celebrities, photographers and the fashion icons. Whenever you are logging into an Instagram, not only you will be able to view the new photos and videos added from your closest friends also the wonderful moments shared by the most creative peoples all across the world. Install Instagram and see the new world.